I’m in a club! I’ve never actually seen the other members, but I can tell they’re very cool. It’s the Marvelous Middle Grade Monday club! Everyone in the club is a book blogger who posts a middle grade book review on a Monday. This was the brainchild of Shannon Messenger. You can see a list of folks who are publishing a review on a particular Monday by going to her site. If you have enjoyed reading the middle grade book reviews on my blog, you would probably enjoy the others’, too. 11 Birthdays, Wendy Mass, (2009, 267 pages) wins the award for prettiest book jacket of time travel books I have reviewed to date. The author has written several books about different tween/teen characters who celebrate a birthday as part of the book’s story line. They include Finally (about turning 12) and 13 Gifts. I hate to go all girly here, but I have to say the covers of these books are cupcake gorgeous! Okay, enough about the gloss. The plot of a character being locked in a repeating day is one that few authors of time travel stories use, notable exceptions consisting of The Power of Un, and 15 Minutes. I wish more authors would explore it. As in the movie, Groundhog Day, when the characters realize they are repeating a day sometimes they try to make it better. In so doing they make us as readers reflect on how we could live more fully. Amanda and Leo in 11 Birthdays were born on the same day. They became best friends and even had their birthday parties together each year, until their tenth birthday when Leo made some comments that changed everything. The friendship ended. Amanda doesn’t enjoy her 11th birthday party, the first one without Leo, very much. She goes to bed relieved to put it behind her. But when she wakes up it’s her birthday again! She figures out Leo is also locked in a repeating day. They mend their friendship, and try to make the repeating 24 hours the best it can possibly be while they try to find their way out to the next day. This was a really fun story with likeable characters. 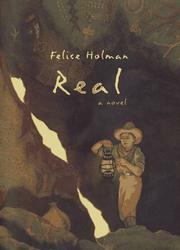 In contrast to 11 Birthdays, Real, Felice Holman (1997, 176 pages), has a brown cover. No candy colors. This story set in the 1930’s is about a boy named Colly, who is grieving for his mother who recently died. His father, Matt, is a movie stuntman. Matt gets hurt while doing a trick for a film and decides to bring Colly to an adobe cabin his late father built out in the desert so he can recuperate. There they meet Benjamin Grey Fox and his nephew Ozro. Benjamin is an Indian who is a retired professor. Benjamin had been a friend of Matt’s father. Benjamin, Ozro, Matt and Colly spend a lot of time together just hanging out. Colly would like to find gold that is rumored to exist in the area. One day he goes off hiking in search of the precious ore. He doesn’t find gold, but he does find a boy named Sparrow and his grandmother. Colly doesn’t know Sparrow and his mother are Cahuilla Indians trapped in a “Forever Day” of 1774. At this time in history, white settlers were pushing west. Sparrow tells Colly to hide behind a rock. Sparrow knows what is going to happen next because it has been happening to him every day for a long time. But Colly is shocked to see two white settlers shoot and kill Colly and his grandmother. Before the violence Sparrow tells Colly if he can give his and his grandmother’s bones a proper burial ceremony in Colly’s time, their spirits can rest and stop repeating this terrible day. Colly stumbles back home and unfortunately cannot at first remember most of the incident. It only comes to him in bits and pieces. Meanwhile, there is a team of archeologists in the area who are collecting Indian artifacts and bones to put in a museum. If they find Sparrow’s and his grandmother’s bones first, Sparrow will never be free. The heart of this book deals with an interesting issue: who should have the right to Indian artifacts? I admire the author for taking on this controversial topic. I think the author succeeded in avoiding the Stupid Indian stereotype in her portrayal of Benjamin Grey Fox, but I think she overcompensated, leaving us with the Wise Old Indian stereotype. This story, set in the California desert has a strong sense of place. Just as the beauty of the desert may be subtle, the unfolding of this story was somewhat subtle until the exciting climax. I loved the whole mood created by the author, but this novel is not a barrel of laughs. I fear it may fall into the category of a book adults want kids to read, rather than a book most kids want to read. I blog about middle grade and YA time travel books. I'm the author of Time Jump Coins. Email me at timetravelmagic (at) yahoo (dot) com. This entry was posted in Book reviews and tagged 11 Birthdays, Book reviews, Books, Felice Holman, middle grade fiction, Real, time travel books, time travel stories, Wendy Mass. Bookmark the permalink. I’ve heard great things about this (and the other b-day themed books of Wendy’s you mentioned) but haven’t read it. My kids and I have read several other books my Wendy and enjoy her style and stories, so thanks for the reminder to pick this one up too. Good to know her other books are also worth reading–thanks for letting me know. Hi, Susan. I’m very happy to find this delightful blog. I love MG time travel novels, and I have my very own, called Ebenezer’s Locker, coming out as an e-book on June 1 from MuseItUp Publishing! Please contact me at lizardmaker AT gmail DOT com if you’re interested in reviewing it. Thanks for the compliment, and congrats to you–Friday will be an exciting day for you! I’ll let you know if I’m interested in reviewing!